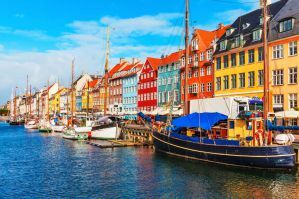 Copenhagen, Stockholm, and other Scandanavian cities are beautiful places with plenty of culture, art, and nightlife. Also, many of these destinations are still small enough to feel intimate and personal. There are wonderful bar and club scenes for those who are looking to experience the vibrant nightlife that the region has to offer. It's a relatively easy area to navigate, and despite the notoriously expensive prices, there are a number of good hostels where backpackers can save some money and find a party. How much do hostels in Copenhagen cost? 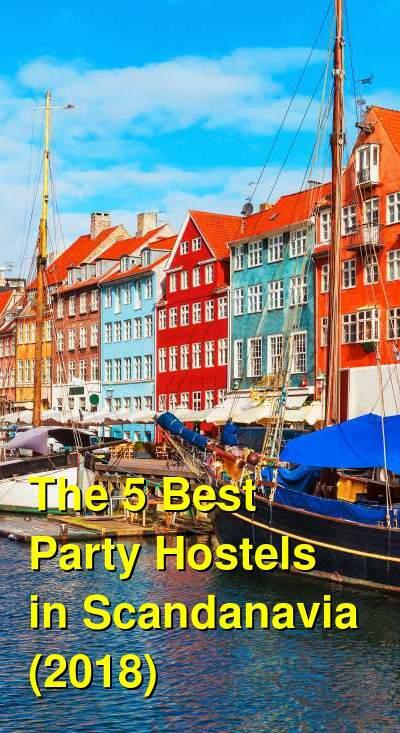 What are the best party hostels in Copenhagen and Stockholm? Copenhagen Downtown Hostel is ideally located in the old part of Copenhagen, next to the City Hall Square and the parliament, just between Christiansborg Palace and the Tivoli gardens, within walking distance of Kastellet, the Little Mermaid, and Freetown Christiania. This location is outstanding for local hotspots, whether it's bustling nightlife, the longest pedestrianized shopping street in the world, fusion restaurants, or the harbor beach, and it's also rig right next to Denmark's best museums, galleries, and theaters. The location means that all public transport links are right at the doorstep, so you are within easy reach of everything that the city and the rest of Denmark has to offer. This award-winning hostel has 24-hour reception, a spacious and lively lounge and bar, an edgy venue for live music, laundry facilities, free Wi-Fi, free iPad and laptop rental, and a welcoming area outside, overlooking the street. The hostel is cozy yet cool, proudly showing a Scandinavian retro design and a friendly, relaxed vibe. The trendy lounge provides ideal surroundings to chill or socialize and meet other guests. The cafe offers an all-you-can-eat-and-drink breakfast buffet for an unbeatable price and tempting foods during the rest of the day. If you are looking for more liquid entertainment, the hostel also has one of the cheapest bars in town, located right in the lounge area that offers a great value Happy Hour every night. Make yourself comfortable and enjoy playing pool, foosball or other games with your (new) friends. The hostel also offers free walking tours, twice a day, every day. They have 88 rooms, to suit every budget. There are private rooms for two-to-five people or shared dormitories for four-to-12 people. Many of the rooms feature private bathrooms and individual power sockets, personal reading lights and mirrors. Free city maps, Wi-Fi, and linens are included and towels and bicycles are available for hire. Generator Stockholm offers 24 hour reception and has flexible and spacious social areas. Property features impressive ground floor chill-out lounge, restaurant and bar, where there's a Nordic twist on the cocktail menu. Stay connected with free Wi-Fi and share those holiday snaps. There are laundry facilities open 24 hours for washing, drying, and ironing and a travel shop for city tour tickets and more. The hostel staff is incredibly friendly, multilingual, and know the city inside out. They're on hand to help you with whatever info you need, just ask. The property is just a 5 minute walk from the central station and is located in the chic neighborhood of Torsgatan. Renowned for its architecture, contemporary art, and alternative fashion, Stockholm adds some Nordic nuances to the Generator family. The Vasa Museum and the Royal Palace is just a short walk. Enjoy the local delicacies and fall in love with the city with a spot of sightseeing by boat. Take a stroll and enjoy Nordic style coffee or head down to one of the many vintage stores. All room types are en suite and include bed linen. Towels included in Double/Twin & Premium categories. The age restriction is 16+ and in order to stay in a shared dorm you need to be 18+. Stockholm: City Backpackers offers tons of little extras, such as free pasta, a free evening sauna 365 days of the year, and movie nights. There's also heated floors in the showers, free use of computers, and security codes on all doors. They offer bike rental up to 8 hours and free ice skates and saucer sleighs to borrow in the winter time. City Backpackers is the base camp for the Stockholm explorer. If you like meeting new people, you'll have the time of your life here. The location is the best possible in the city center - safe and quiet, although only a 500 meter walk from the central railway station and bus terminal. Most of the city's sights, including the Medieval area Gamla Stan (Old Town) can be found within walking distance, and the main shopping street, Drottninggatan, is just around the corner. You can stay in a single or twin room, or a dorm with 3, 4, 5, 6, 8, 11, or 12 beds. Female dorms are also available. They also have three apartments/studios for up to eight people with private bathroom, shower and kitchen. There are several common areas where you can hang out with fellow travelers: a large, fully-equipped guest kitchen, a courtyard, a cozy breakfast cafe, and a restaurant and bar called 'Nomad'. The staff takes turns showing Stockholm to their guests. All year they arrange tours and adventures, such as guided bike rides and Kayak tours in the summer and the awesome Viking Sauna Tour in winter. When you want to relax there's a hot sauna and lounge areas with satellite TV, daily newspapers and a book exchange available. Copenhagen: This is a great hostel if you're looking for a party or are hoping to meet new people. There's a beer garden where guests often hang out and socialize. You can play pool or simply enjoy your drink. If you just want to relax there are also comfortable couches, games, and computers available for your use. The staff is friendly and very informative on the area. The hostel is kept very clean and there is always music playing to keep the atmosphere lively. The hostel is centrally located in a popular and fun part of the city. It's near a park and some of the city's best clubs and cafes. You can walk to shopping streets and restaurants and you're not far from the city center. It's also very close to many of the city's best attractions. Hostel amenities include free lockers, free internet, free games, music, no curfew and more. You can choose between either dorms or private rooms. This hostel is perfectly designed with large public areas where guests can relax and meet fellow backpackers. There's a bar that offers daily events and happy hours. There's also a DVD library and book exchange. You can enjoy a game of pool or take advantage of the free wi-fi. The staff does a great job of ensuring that facilities are kept clean and modern. Every room has a bathroom and shower, wardrobe, and lockers. The buildings social atmosphere makes you feel like you're staying among friends and family. Although guests are generally young, they welcome people of all ages, or simply the young at heart. Amenities available through the hostel include lockers, wi-fi, free linens, a book exchange, maps, free daily walking tours, 24 hour service with no curfew.